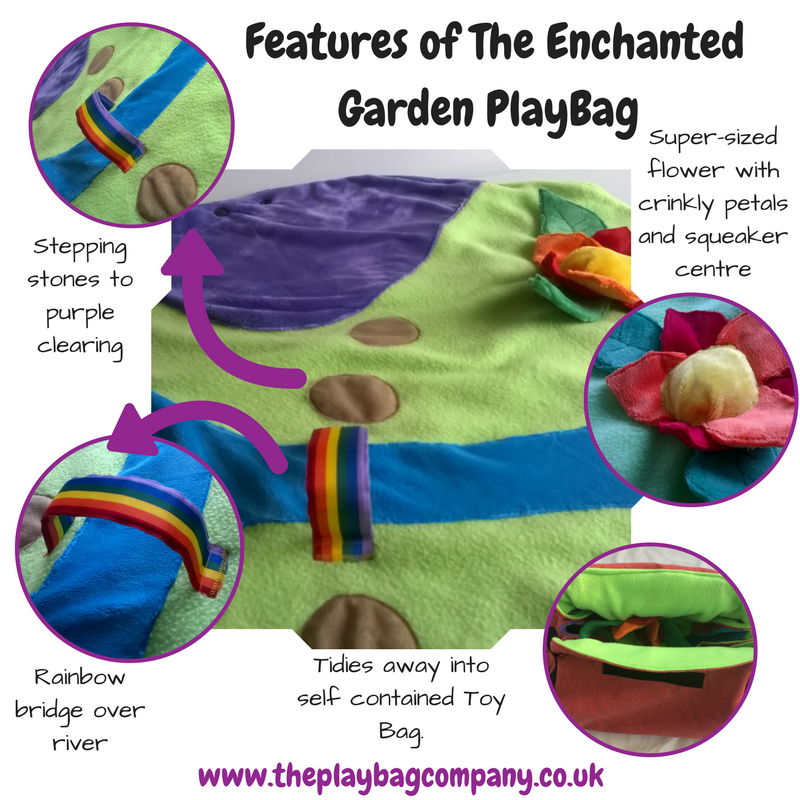 Review: Enchanted Garden PlayBag by the PlayBag Company! This is a product that I really happily stumbled across one day, and I have not been asked to write this review – it’s completely independent! 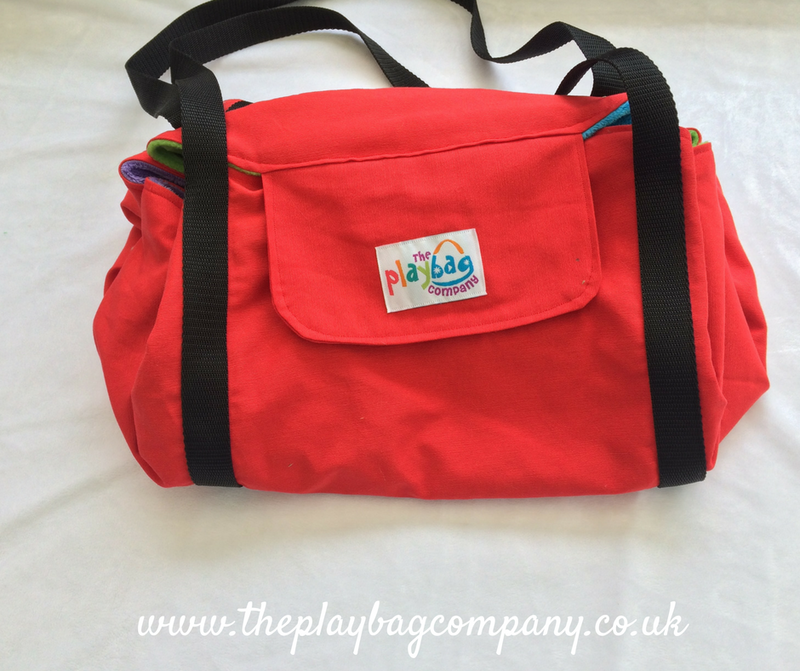 The PlayBag is an INGENIOUS invention – I mean, seriously life-changing for every parent! You’re on a train/long car journey, and your toddler starts to become restless, wants something to play with, is no longer interested in the million snacks you’ve packed, and you can sense a full on toddler meltdown coming on. The PlayBag will save you from that very crisis. We’ve all been there right? Kids kicking off in the supermarket and old Doris giving you a disapproving look and a verbal tut, shaking her head as she wanders off to find her Canestan away from the screeches and whining of your baby/tot/teen. Not only that, but PlayBags are MACHINE WASHABLE!!!!!!!!!! So they’re totally hygienic and you can easily keep them clean for your little ones to play with. The various designs of the PlayBags are really lovely – there are farms, camo prints (which, being an army family, we obviously adore), enchanted gardens, beach designs and loads more. The outside of the bag can also come in a range of colours, so if you have two kids of similar ages (or twins – if that’s the case then my heart goes out to you… stay strong mama!) you can neutralise the colours or choose something that BOTH children will like rather than having your standard gendered pink/blue only options. Olivia absolutely loves the PlayBag… She loves to carry it around with her and it’s perfect for transporting her Duplo Lego so that she can do her “building” on the move. 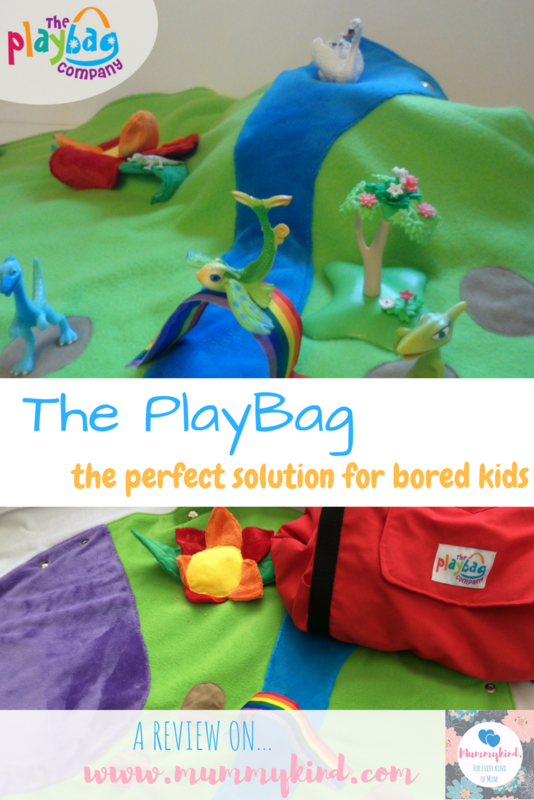 After I discovered this amazing creation online, I contacted the PlayBag Company and asked if they’d be willing to pitch in to our giveaway so that you could win your own PlayBag…. 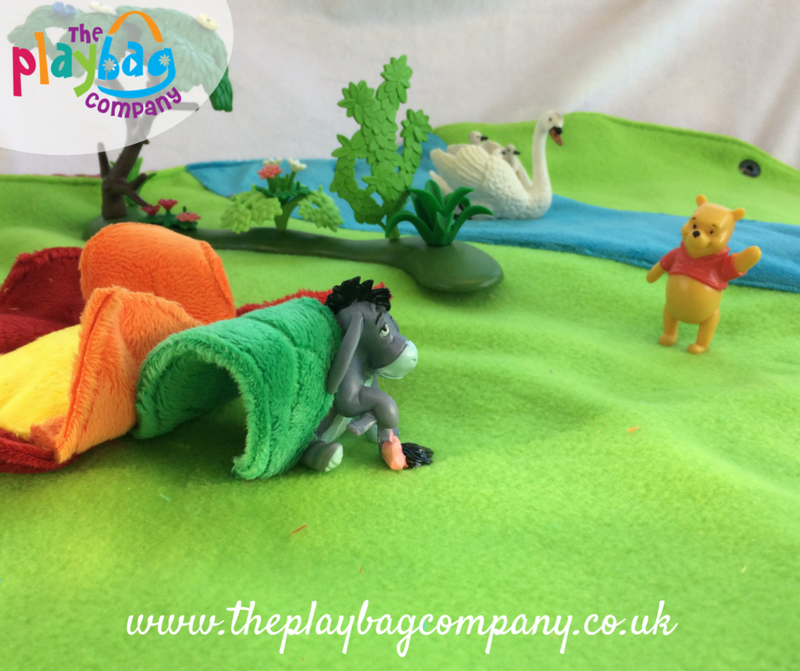 And I am pleased to announce that now you have a chance to win an amazing PlayBag on Saturday in our ultimate Mummykind’s BIG birthday giveaway! This would be perfect for taking to our friends wedding. Our giveaway goes live tomorrow so you may be able to win yourself one! Next Post Colic, Reflux and Wind… Oh my!